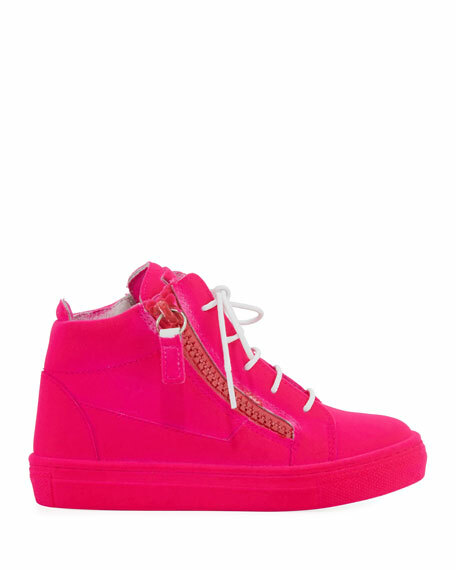 Giuseppe Zanotti flocked velvet sneaker. 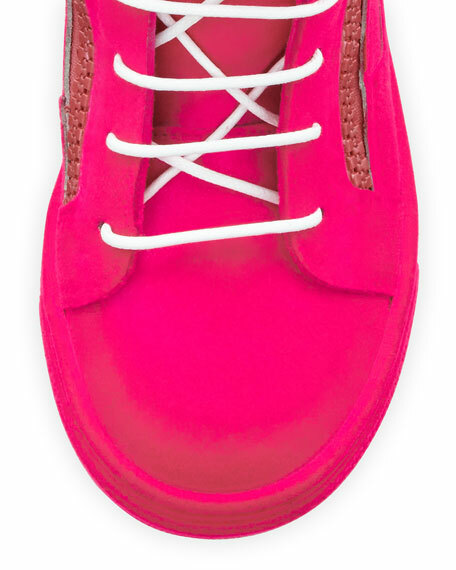 APL: Athletic Propulsion Labs "Techloom Breeze" mesh sneaker. Flat heel. Reinforced round toe. Lace-up front with speed lacing system. Tabbed backstay. Propelium midsole/outsole for maximum traction and extreme comfort. Rubber outsole. Imported. 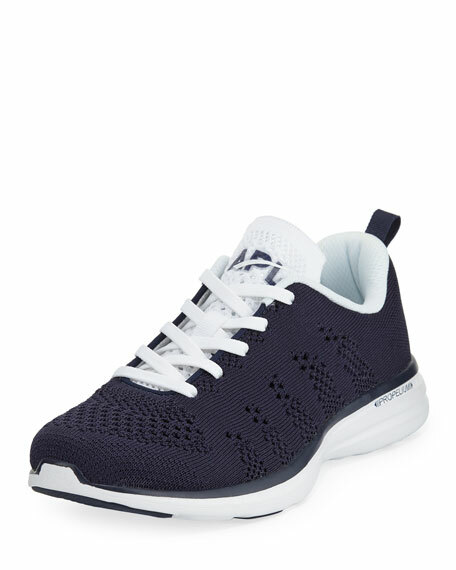 APL: Athletic Propulsion Labs "Techloom Pro" knit mesh sneaker. Flat heel. Reinforced round toe. Lace-up front. Logo at tongue. Tabbed backstay. Neoprene insole. Rubber outsole. Imported. APL: Athletic Propulsion Labs "Techloom Pro" running sneaker in knit mesh and Thermofuse. Lightweight, flexible Propelium midsole for shock absorption and enhanced cushioning. Flat heel. Reinforced round toe. Lace-up front. Tabbed backstay. Lightweight EVA rubber outsole. Imported. 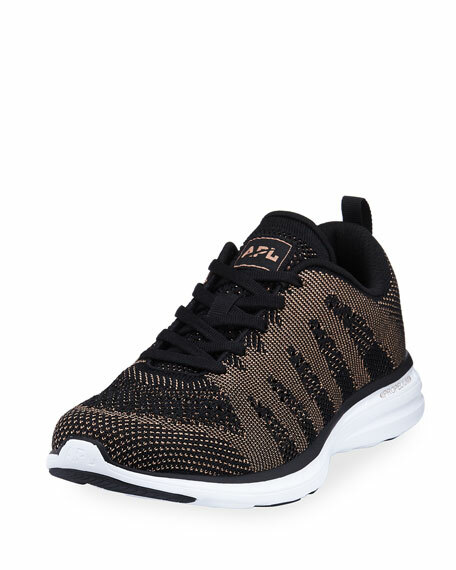 APL: Athletic Propulsion Labs metallic knit fabric sneaker. 0.5" flat heel with platform. Reinforced round toe. Lace-up vamp. Logo at tongue. Pull-tab at back collar. Padded footbed. Rubber outsole. "Techloom" is imported.